In late August we have a rare opportunity. 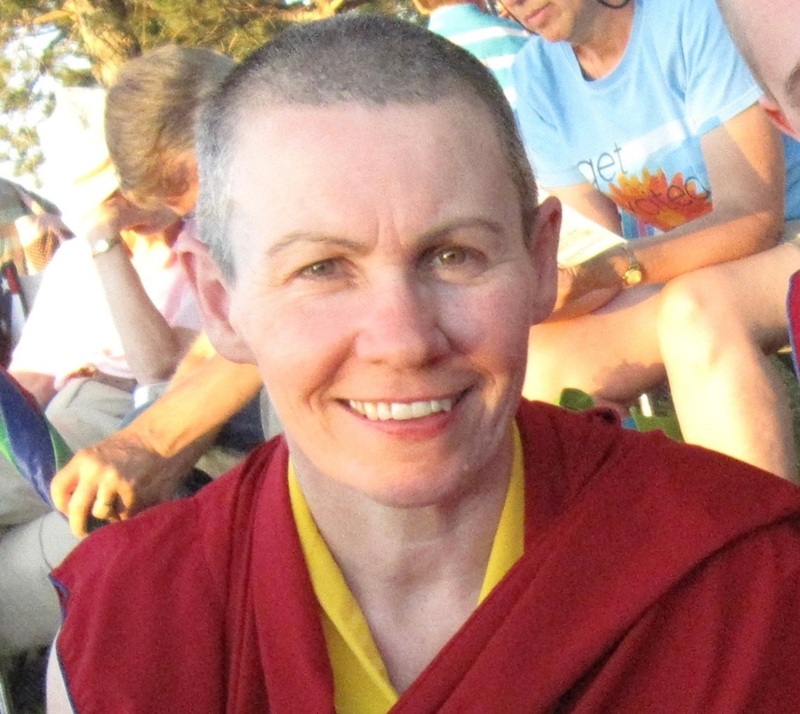 An experienced Australian Buddhist nun, Venerable Chodron, will come to Western Australia to lead a six-day teaching retreat on preparing for your own death and preparing for helping others who are dying. Venerable Chodron has specialized in spiritual palliative care at Karuna Hospice in Brisbane for many years. This residential retreat will be held at Fairbridge in Pinjarra just a short drive south of Perth. The retreat is being organized by the Hospice of Mother Tara, a sister group to Hayagriva Buddhist Centre, based in Bunbury. Life is short and it may be for some of us that this is a once-in-a-lifetime opportunity to experience in-depth teachings in a peaceful atmosphere (such as at Fairbridge). Such a meaningful way to spend six days. Please email Hospice of Mother Tara at welcome@hmt.org.au to get your Application Form. Exciting Times for The Pure Land of the Indestructible Buddha, Inc. I hope that, in amongst the busy-ness of this time of year, that you find this news item! My sincere thanks to you for your ongoing support. It means a lot to us to know that you are interested in this project to create a peaceful and virtuous place where one can focus on the spiritual and emotional aspects during the last weeks of life. As you will see from the report below, we have had a very good year and achieved some important milestones. There are of course more hurdles to jump and at the bottom of the report are listed some areas where we need specific help. Please keep an eye out for announcements on the training courses we plan to run in 2019, in preparation for the opening of the facility in 2020. Len Warren, Chairperson, The Pure Land of the Indestructible Buddha, Incorporated. The Pure Land became an independent Study Group of the international organization, FPMT, which has 160 Centres, Study Groups and Projects around the world. The Pure Land is now a separate entity from its parent, Hayagriva Buddhist Centre. We are grateful for Hayagriva’s support in this process. Anita and Len, representing The Pure Land, met with the Spiritual Director of the FPMT, Lama Zopa Rinpoche, in Bendigo. Rinpoche’s positive response gave us great encouragement. We felt blessed! A private home was kindly offered as a possible site for the three-year Pilot Trial. It proved to be highly suitable. However, its availability from 2020 (when we plan to start operating) can not be assured at this stage. We may need to search for an alternative. The Harp Concert, with harpist Shamarra de Tissera, was a huge success. Awareness of The Pure Land was extended to new people and places. We raised $3700. Also in July, the draft Constitution was adopted at a Special General Meeting of The Pure Land. On 16 August, The Pure Land of the Indestructible Buddha Inc. was approved as an Incorporated Association in the State of WA. The Constitution was accepted without change. The Pure Land is now an independent legal entity. The Pure Land received an Australian Business Number and a Tax File Number and opened a new bank account with Bendigo Bank. From a presentation at the Dhammaloka Centre during the Rains Retreat, The Pure Land gained new ‘Friends of the Pure Land’ and a new Member. A video of the event was posted on the BSWA website. Also in November, plans to run basic training courses in 2019 for Pure Land volunteers were adopted. Recently, Alzheimer’s WA published a wonderful article about selecting appropriate Christmas gifts for someone with dementia. It seems to me that these gifts would also be suitable for someone who is dying, perhaps mostly sleeping, finding it difficult to concentrate and not able to communicate well anymore. See what you think. There is much discussion in the community – and in my family – about the commercialisation of Christmas. Some worry that Christmas draws you into its vortex and you end up spending far more that you planned. Others worry that the oversupply of gifts simply contributes to unsustainability and landfill. These are not easy considerations, as they are usually weighed against the fact that gift giving is one of the great Christmas traditions, one of the key ways we celebrate those we love at this festive time. It is at this time we are reminded of the old proverb that it is better to give than to receive. Christmas can also be a time where people feel disconnected, lonely and isolated. What gift is of value to these individuals? 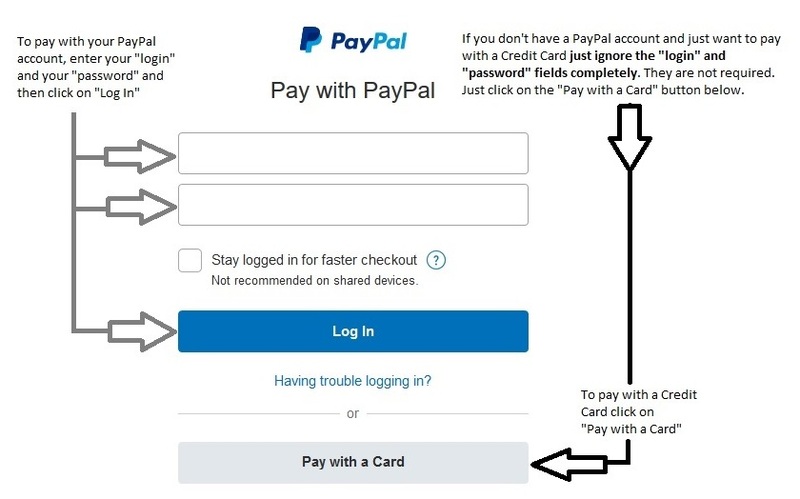 I’d like to throw out my usual Christmas challenge to you, and ask you to consider the gifts you can give that are entirely sustainable and bank account friendly. While these gifts have value and meaning for everyone, they have special meaning for those living with dementia. Contents of this page prepared by Len Warren of The Pure Land of the Indestructible Buddha, Inc., Hayagriva Buddhist Centre, 64 Banksia Terrace, Kensington 6151 Western Australia, Dec 2018. Selected from Alzheimer’s WA e-News of December 2018. Visiting a person who is very sick or dying can be very beneficial and a wonderful thing to do. But before the visit, it is not unusual to feel a little apprehensive or unsure of yourself. That’s why spending a few quiet minutes deliberately preparing yourself is so important. If that is not possible and the only time you have is driving there, then in the car try to say an appropriate prayer or recite a relevant mantra, such as the mantra of the Medicine Buddha (Tayata Om Bhekandze Bhekandze Maha Bhekandze Bhekandze Soha) or Shakyamuni Buddha (Tayata Om Mune Mune Maha Muniye Soha). This article is in four sections: preparing for the visit, building trust, helpful practical and spiritual actions, and what to do close to the time of death. Pain is an unpleasant sensory and emotional experience. The sensation of pain is a useful warning signal that actual or potential damage is occurring or will occur to the body’s tissues. The frequency and intensity of pain varies depending on which particular disease the patient has, how advanced the disease is and what other health problems they are experiencing. The pain experience is unique to an individual. It can be magnified by psychosocial stressors, and modified through psychological and emotional support. It is what the person describes and not what others think it ought to be. In the mid-1960s, Cicely Saunders recognized that there was much more to pain than the medical/physical aspects. She developed the concept of ‘total pain’ – encompassing physical, psychological, social, cultural and spiritual aspects. Facial signs: furrowed brow, grimace, eyes closed tight, clenched teeth, taut lips. Body posture signs: very still, stiff, can only get comfortable in one position. Tense, unhappy when they move, or you move them. Appear irritable and withdrawn rather than content. No appetite or excessive appetite. Find out what helps or makes it worse – movement, massage, support on a pillow, distraction (music, company, television/radio). Find their most comfortable position. Contents of this page prepared by Len Warren of Pure Land of the Indestructable Buddha, Hayagriva Buddhist Centre, 64 Banksia Terrace, Kensington 6151 Western Australia, November 2018. Selected extracts from talks given by Teresa Prior (2006) and Suzie Vojkovic (2013). There is a difference between physical pain, which is a physiological process, and suffering, which is our mental and emotional response to the pain. In general, in addition to physical pain, there is mental pain, from a mind agitated and disturbed by negative thoughts. Between 2008 and 2012 members of the Wheel of Life Palliative Care Support Group at Hayagriva Buddhist Centre collected from various sources twenty non-medical ways that people had found useful in trying to cope with their pain. Realize that there may be others who are experiencing similar or even greater pain than you. Generate the wish that they may be freed from their pain. Realize that reacting to your pain with anger, frustration or despair will not help ease the pain. Given that your pain is not over yet, decide that you will tolerate and accept it. Then you will no longer be its victim. Contents of this page prepared by Len Warren for The Pure Land of the Indestructible Buddha, November 2018. Content assembled by Wheel of Life, Hayagriva Buddhist Centre, 64 Banksia Terrace, Kensington 6151, Western Australia, 2008-1012. Before meeting a friend who is experiencing physical or emotional pain, and/or facing the end of their life, sit quietly for a few minutes. Become aware of any thoughts or fears that might impede your receptivity, and connect again with your inherent openness and love by reflecting on your friend’s suffering. As you settle quietly in meditation and watch your thoughts, you might find that you have fear about the other person’s anguish or concern about your ability to make him feel better. Perhaps you’re already trying to plan what you will say, to feel some control in the uncertain situation ahead. Acknowledge these thoughts and fears, and then allow them to dissolve. You might imagine setting your fears, plans and thoughts in a box next to you and leaving them behind, before going into your friend’s room. Reflect on your friend’s situation, and let his suffering touch your heart, awakening your compassion and love. No matter how painful the circumstances or how disturbing the physical appearance that you will encounter, remember that your friend has, at the core of his being, the innermost essence of wisdom and compassion. Your role, then, is not to rescue him or give him your solutions, but to help him recall and turn toward his own inner resources. As we approach our death, it is natural to experience fear, stress and anxiety. People often say, “I’m not afraid of death; it’s the pain and turmoil of dying that worries me.” Others are genuinely concerned about leaving behind everything that has any meaning to them, their family and friends, their possessions, and losing their faculties and ultimately their body. “What will happen to me?” So it is good to learn now about the causes of fear and anxiety and to practice their antidotes. However, modern life is not a help in this regard, because many of us live in constant states of fear, stress or anxiety. This is not necessarily to do with dying; it is the nature of modern life. As chronic stress becomes a global epidemic, our stress response is being studied intensively to see if we can unwind its mysteries. It turns out that our perspective has a surprising amount of influence over our body’s stress response. When we turn a threat into a challenge, our body responds very differently. What we need is stress resilience. This involves turning what is called ‘threat stress’, or the perception that a stressful event will harm us, into what is called ‘challenge stress’, or the perception that a stressful event is a challenge that will help us grow. The remedy is quite straightforward. One simply notices the flight-or-fight response in one’s body – the beating heart, the pulsing blood, or the tingling feeling in our hands or face, the rapid breathing – then remembers that these are natural responses to stress and that our body is just preparing to rise to the challenge. Extracts from: The Book of Joy, by His Holiness the Dalai Lama and Archbishop Desmond Tutu with Douglas Abrams, Hutchinson: London 2016, selected by Len Warren.